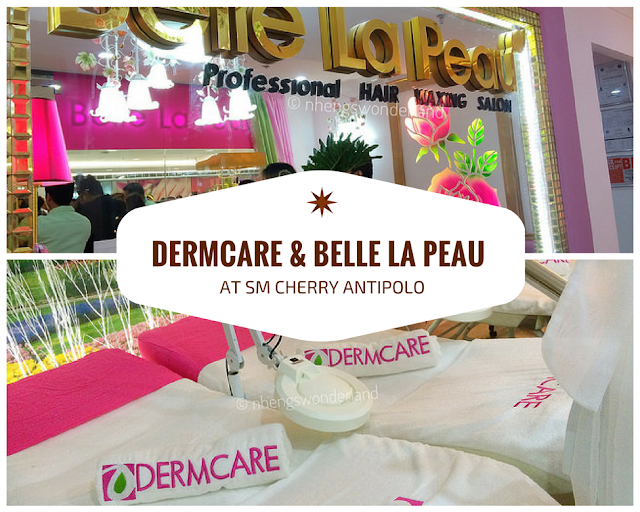 Dermcare & Belle La Peau had its grand opening at SM Cherry Antipolo same day of the grand opening of SM Cherry Antipolo. We were also invited to cover their blessing. 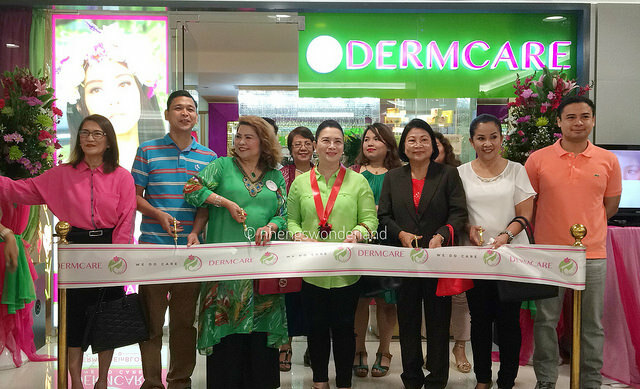 Dermcare's ribbon cutting was graced by Ms Zenaida E. Palisoc, President and CEO of Dermcare Professional Skin, Hair & Spa and Governor of Rizal, Rebecca Ynares. 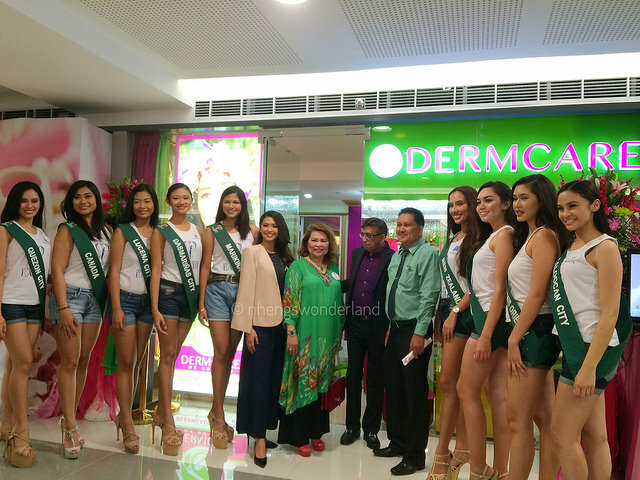 Ms Earth candidates are also present at the grand opening. For almost 2 decades, Dermcare provides consumers with top-of-the-line beauty products and services at superior value for money price. This is already their 82nd branch, and they still continues providing its customers with innovative products and services that are responsive to their needs and lifestyle. 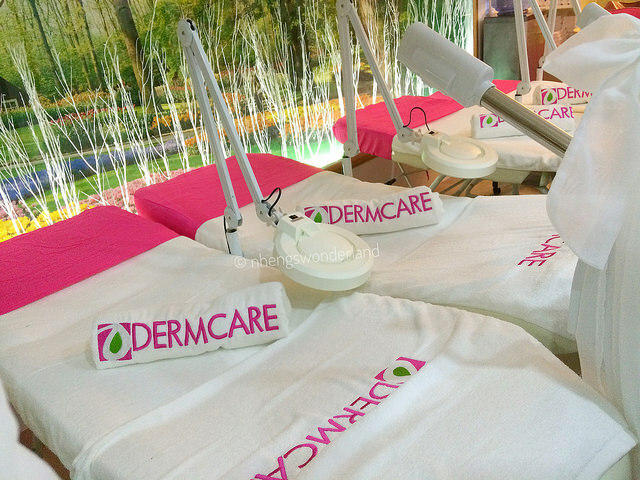 Dermcare which pioneered the whitening business in the Philippine has been trusted for quality, affordable and effective products for more than 20 years. Dermcare Professional Skin, Hair & Spa offers world class skin facials (lightening, anti-aging, pimple control treatments), body treatments (scrubs, waxing, spa services) as well as hair rebonding & treatments. It is a one stop pure value skin, body and hair treatment in one environment that is both inviting and invigorating to the senses. Staffed with trusted dermatologists and professionally trained beauty therapies. It's ambiance is conducive to rejuvenation, skin and body pampering. It offers private and well-appointed spa and massage rooms, steam bath and facial treatment area, doctor's clinic, and an inviting lobby. The moment you enter Dermcare, you will experience full bliss. 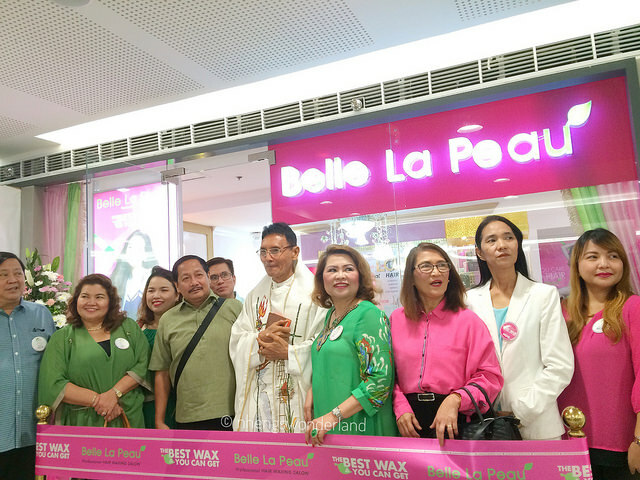 On the other hand, Belle La Peau also opens at SM Cherry Antipolo. 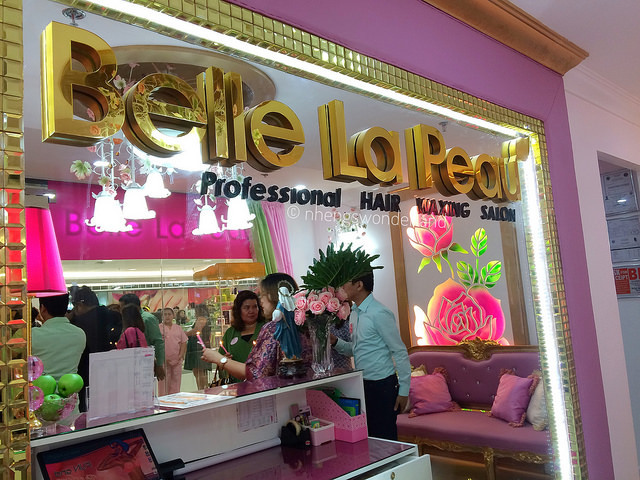 Belle La Peau is a professional hair and waxing salon. Same as Dermcare, they have an inviting decors that will surely catch your eye. Belle means 'beautiful' in French and La Peau means 'the skin'. They offers hair removing services which is inexpensive, fluid and soothing services that will satisfy the changing needs of their customers. Friendly and Professional staff, Relaxing ambiance, Satisfying and Low-Priced services will give you feel-good experience that will make you beautiful and radiant inside and out.